The US Environmental Protection Agency (EPA) has dismissed a civil rights case brought by residents of the small, overwhelmingly Black town of Uniontown, Alabama, against an Alabama environmental agency. 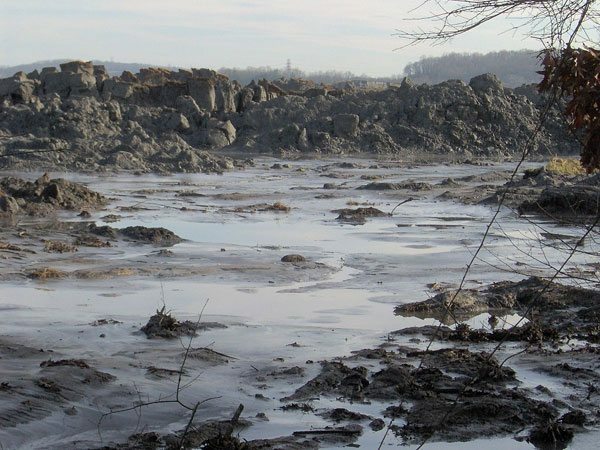 The agency had approved the dumping of four million tons of coal ash at a landfill site in their community, reports Oliver Milman in the Guardian. In 2013, several dozen Uniontown residents filed a complaint under Title VI of the Civil Rights Act. In its 29-page letter, the EPA dismissed the complaint on the grounds that there is “no causal connection” between the “alleged harms” and the landfill site. The group that organized and launched the complaint in 2013, Black Belt Citizens Fighting for Health and Justice, was featured last month on an NPQ webinar in which the organization’s president, Esther Calhoun, participated. With the support of the American Civil Liberties Union, Calhoun and her colleagues last year successfully beat back a $30 million defamation lawsuit launched by the landfill owners that had sought to shut down the group. “The shipping of toxic coal ash from a mostly white county in Tennessee to this rural, poor and most black county and community in the Alabama black belt is a textbook case of environmental racism,” remarks Robert Bullard, a pioneering environmental justice researcher. Marianne Engleman Lado, a Yale Law School lawyer who represented residents, says an appeal against the EPA was possible but unlikely. Lado notes that the EPA dismissed the complaint because it found the company was operating the landfill within regulatory guidelines. But Lado says that mere compliance with environmental permits should not negate civil rights concerns.